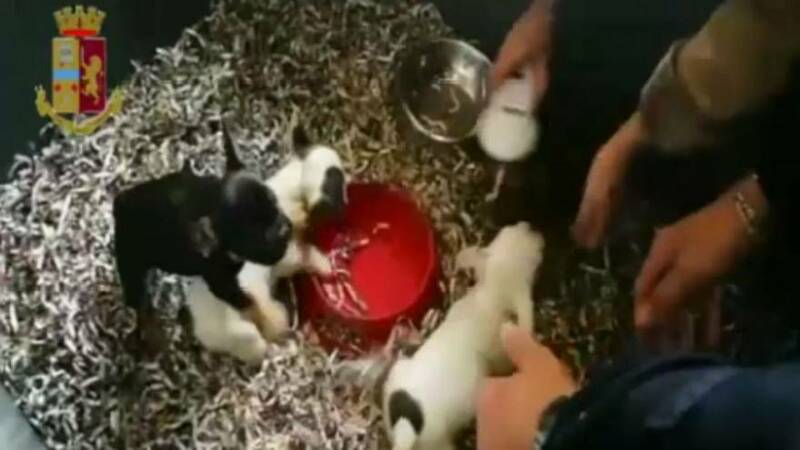 Police in Italy have busted a puppy trafficking ring, which illegally imported the animals into the country from “abusive farms” in Slovakia and sold them on as pets using falsified pedigree certificates. The gang would pay between €30 and €100 for each puppy and they were sold in Italy for between €1,000 and €1,800, the investigation found. The State Police of Rimini, which led the multi-force investigation, said the group was specialised in illegally importing pets into Italy, with a particular focus on the French Bulldog and Toy Poodle breeds. They had an operational base in Slovakia from where an Italian citizen would collect the puppies from breeding farms or weekly markets, police added in a statement. Two "abusive kennels" were used to hold the animals — one in the Slovak city of Nitra and one in Naples. Police also found evidence that people with no veterinary qualifications had fit the puppies with microchips bought in Asia, while false documentation designed to pass the dogs off as pedigrees was also produced. Many of the puppies died before arriving in Italy due to the mistreatment they suffered. Rimini police said the trafficking ring had made more than €1 million from their illicit activities. At the end of the investigation, Rimini police said it issued “personal precautionary measures” for seven members of the group, and put two under house arrest. Police encouraged local citizens to contact them if they were concerned they had been victims of fraud when buying their pets.